The Capital of the state of Uttarakhand since its formation in 2000, Dehradun has become one of the most popular tourist attraction in India. 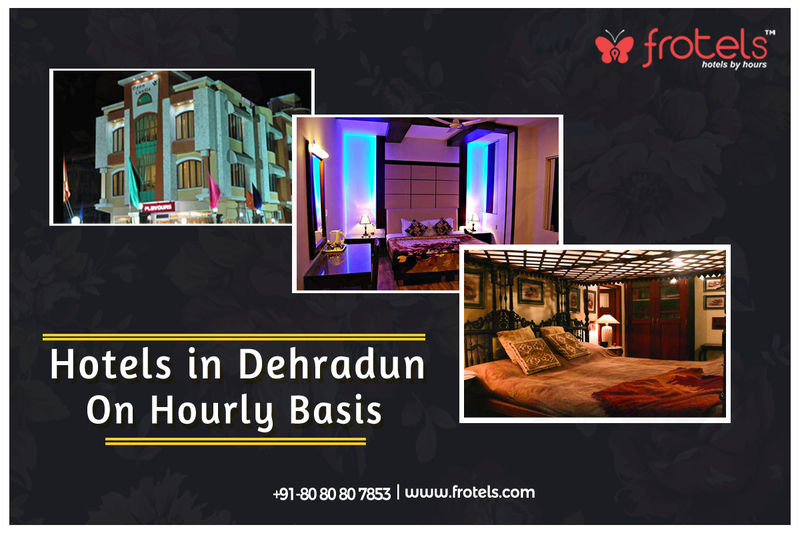 Over the years Dehradun has seen some tremendous growth in terms of tourist footfalls, thanks to its scenic beauty and amazing Hotel Services with most of them having a tie-up with Frotels. The geographical placement of Dehradun can be held responsible for its wide popularity as it is located at the footsteps of the Himalayas, inside the Doon Valley and between the Holy River Ganga and Yamuna. Dehradun hosts a no. of hill stations, including the 1,880 metres tall Mussorie and other stunning ones like Nainital, Almora, etc. Located in the hilly terrain of Chakrata, Tiger Falls is the perfect is a perfect lookout for Trekkers and other tourists alike. A beautiful gift of nature, The Robbers Caveis a 600 metres long river cave located near 8km from Dehradun. Caves, Waterfalls, Terrace Gardening and everything a tourist possibly dream of is possibly available at the Sahastradhara. The place is also famous as ‘Sulphur Falls’ due to the water dripping from the limestone stalactites. Located on the banks of Holy River Ganga, Tapovan has an important mark in the epic Mahabharata. The city of Dehradun is more than just an eye pleaser and also has some of the finest Schools and other educational institutes in India including the St. Joseph’s Academy, Welham Girls School, Uttaranchal University, etc. The stay in Dehradun can be easily managed by use of amazing and flexible booking options by Frotels, which enables you to book hotels on Hourly as well as on a full-day basis.